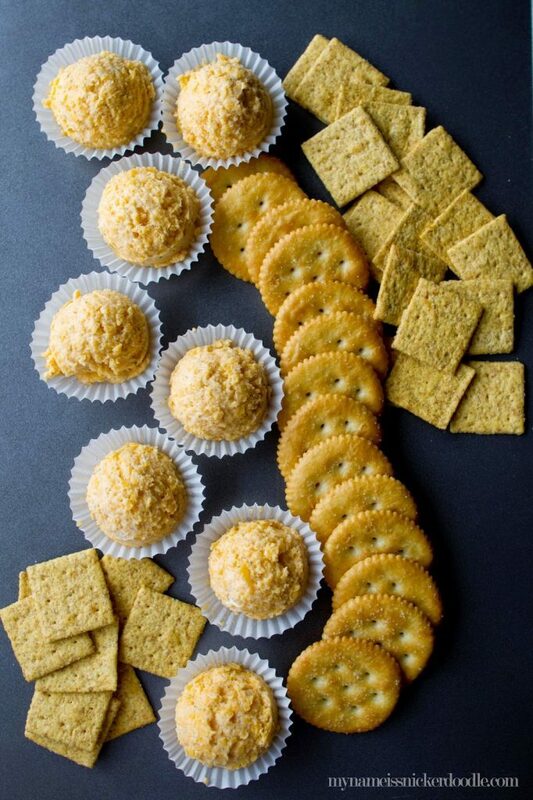 Mini Ranch Cheese Balls are practically perfect and would be great at any party! The combination of herbs and cheese make them irresistible! It’s no secret that I love party food. Did you ever see the movie Mermaids with Cher and Winona Ryder? Cher turns all of your dishes into appetizers and boy, I wish I could get away with that! I love dips, chips, crudites, horse devours, bite size anything! So it’s no wonder why I love making my Mini Ranch Cheese Balls. 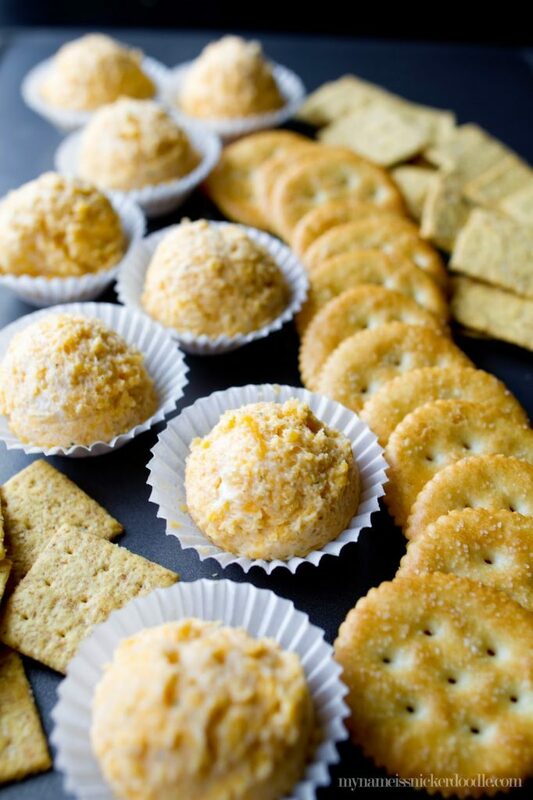 Regular cheese balls are great, but when everyone has scraped into it, it becomes very unappetizing to look at. There is just something about a mini anything that makes you feel a little extra special. 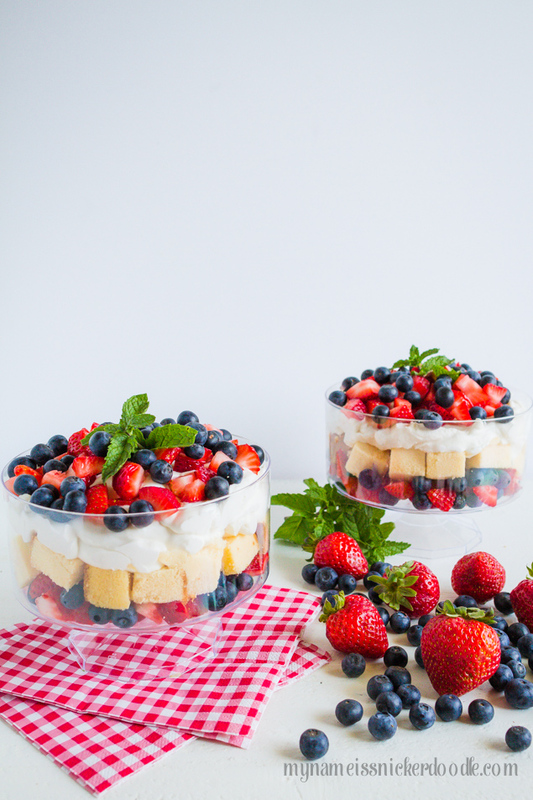 Plus, these are WAY easier to put on your party plate and eat. My favorite kitchen tool is my cookie scoop. 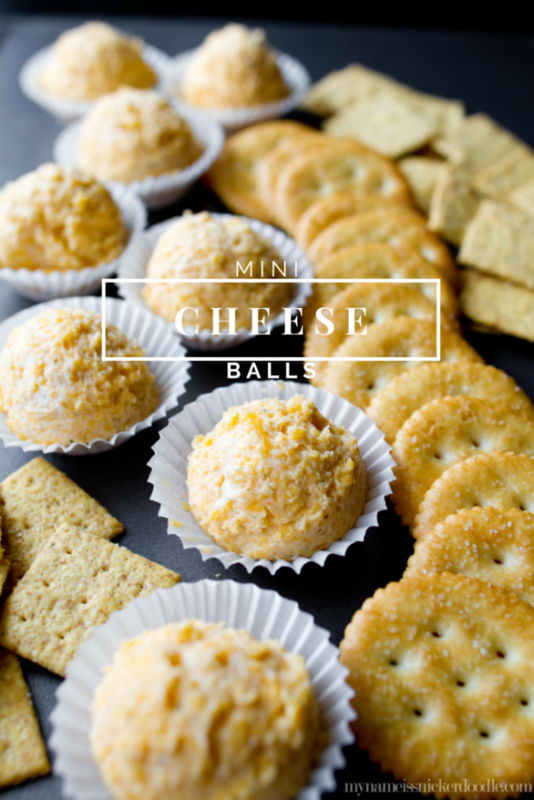 I use it for so many things and it comes in so handy when making these Mini Cheese Balls. This small cookie scoop makes the perfect portion. Once all the ingredients are mix together, I simply scoop out each portion and place it on a mini cupcake liner. 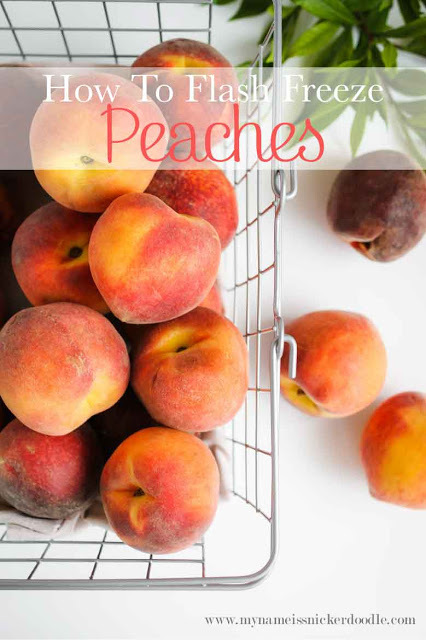 These can be stored on a large tray, covered with plastic wrap and kept in the fridge for up to two weeks. 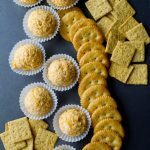 Typically I like to serve a variety of crackers like Ritz and Wheat Thins. 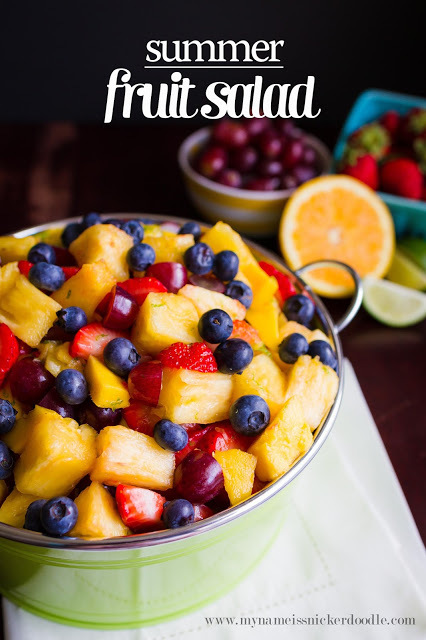 You could also serve carrot sticks and celery sticks to add even more variety to your platter. In a food processor mix all ingredients until well blended, about 1 minute. 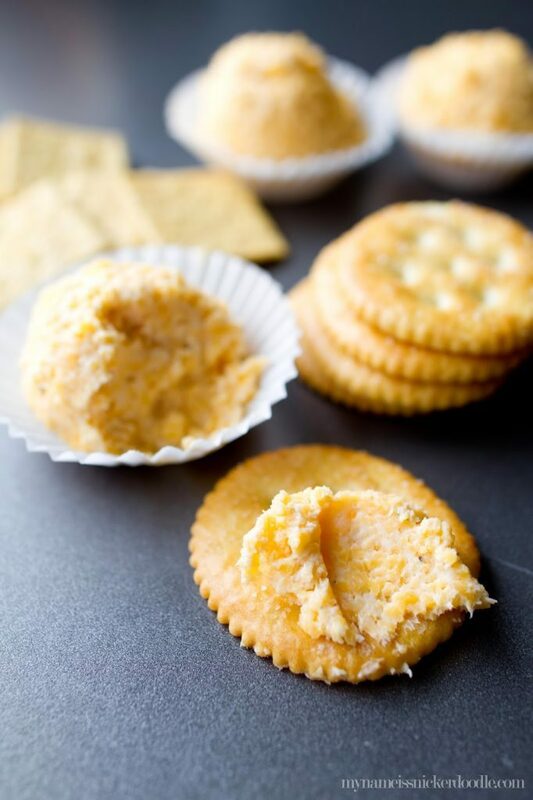 Using a 2 TBSP Cookie Scoop, scoop out rounded cheese balls and place onto a mini cupcake liners. Chill for 2 hours before servings.